Financial management and bookkeeping is a challenge for most entrepreneurs and business owners. Especially if you’re just starting out, maintaining a positive cash flow can make or break your business. 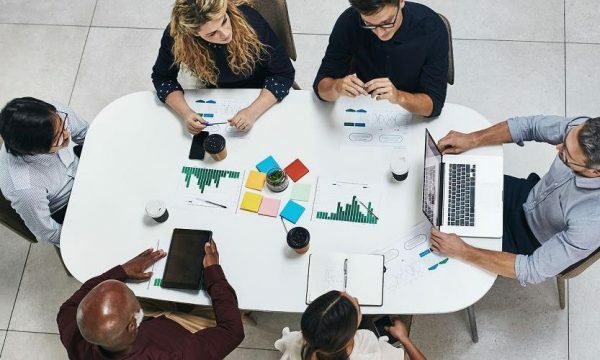 Thanks to technology, it’s easier and more cost productive for non-accountants (such as yourself) to manage small-business finances. All you need is the right invoicing and billing software. 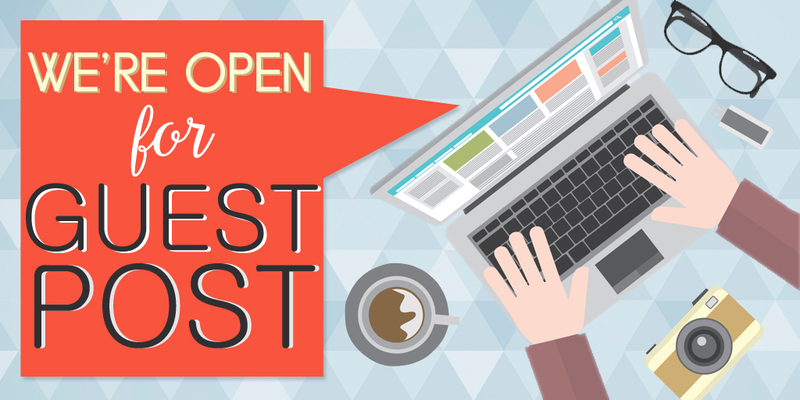 What’s the best online billing software for you? 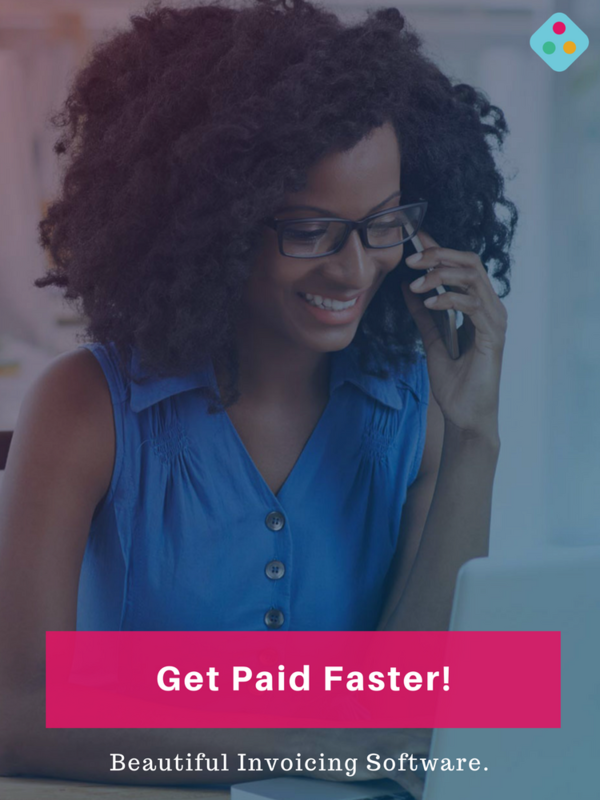 To save you time answering that question, we’ve researched the most popular small-business billing software available on the market for Nigerian businesses. With Invoice, you can manage expenses, create invoices and estimates to send to your clients. 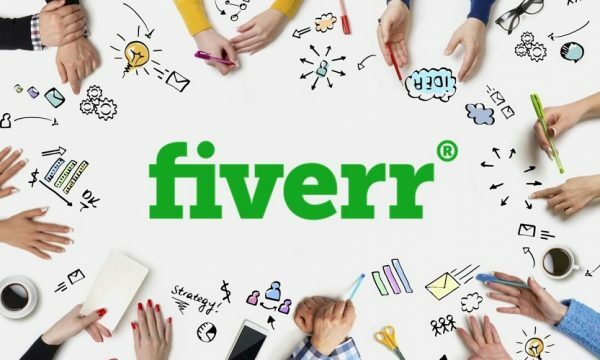 The wonderful thing about Invoice is that it can work for almost everyone: it’s a good solution for freelancers and also business owners with a dozen employees. It provides more in-depth, specialized features than basic invoicing management software. 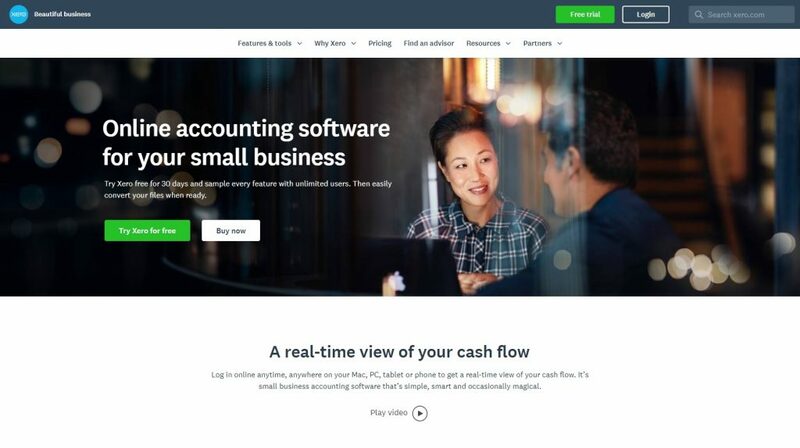 And at the same time, it also delivers the financing basics and intuitive customer experience any accounting newbie can appreciate. It also supports collaboration as users can easily add team members and contractors to access accounts and projects. 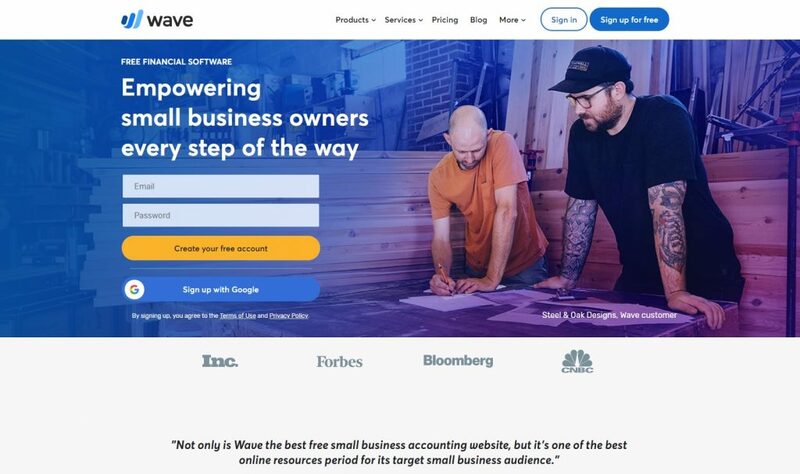 Waveapps offers a complete suite of billing and invoicing tools for small businesses and freelancers. Waveapps offers customizable invoices, recurring billing, and payment reminders, too. Automatic status updates and payment receipts mean you don’t have to spend extra time managing the entire invoicing process. And if you use the Wave Accounting app for your small business, the invoices integrate right into your financial tracking. 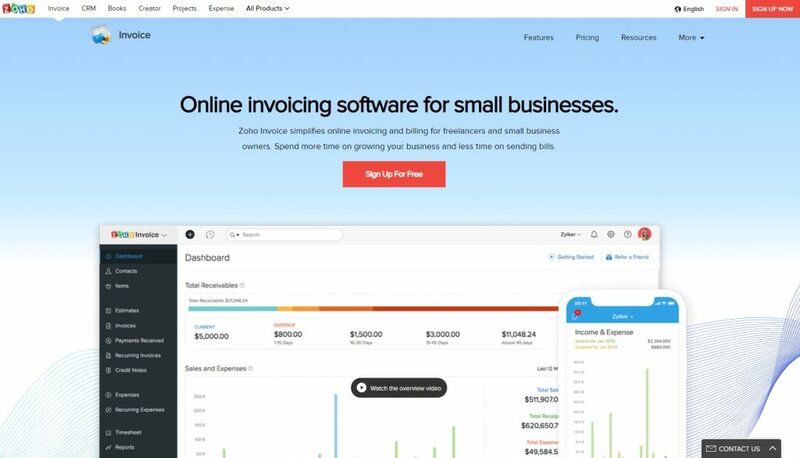 Zoho makes it easy to create and send well-designed invoices. Even with the free account, you’re able to customize every little detail on your invoice to reflect your brand. Zoho Invoice also integrates well with Zoho’s other suite of apps, which includes marketing, email, HR, and business process tools. Mobile invoicing makes Zoho a good choice for people on the go, and mobile access to their wide variety of other business tools is great for freelancers and small business owners who do a lot of traveling. FreshBooks’ invoices stand out as looking extremely professional. You can customize your own invoice to match the style and message of your brand, and the ability to accept credit card payments right from the invoice adds to the sense of professionalism. 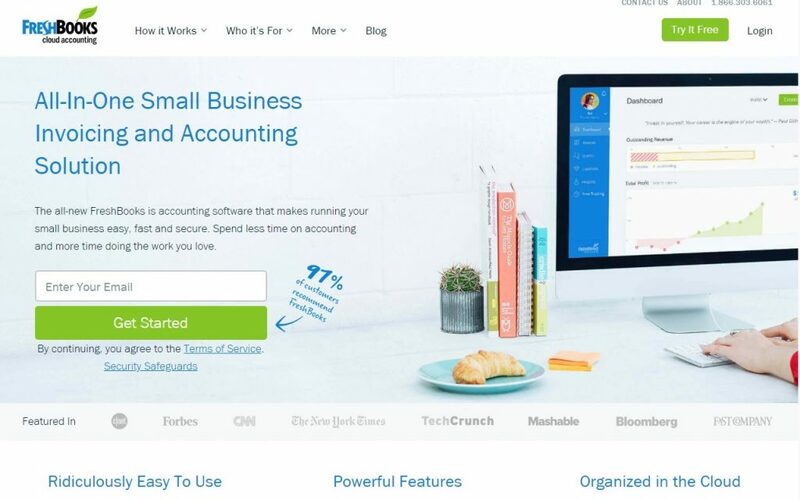 Automatic reminders, late fees, and the ability to accept deposits for work not yet done all make FreshBooks a great option for small business owners and freelancers. 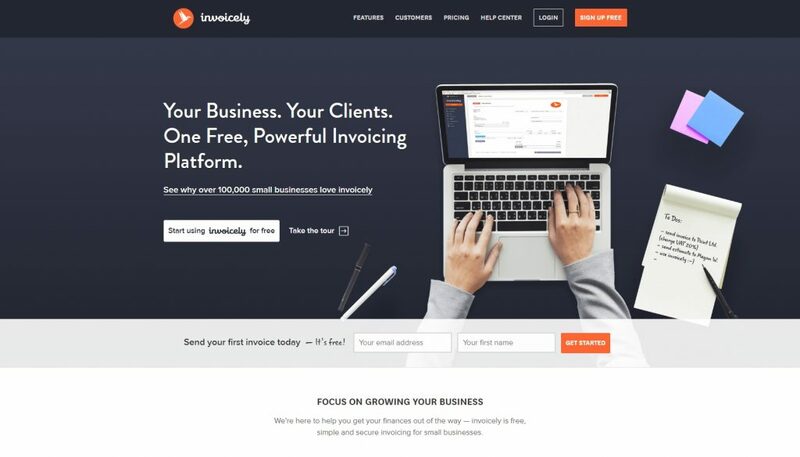 Invoicely is a cloud-powered invoicing solution targeted at small businesses and freelancers. 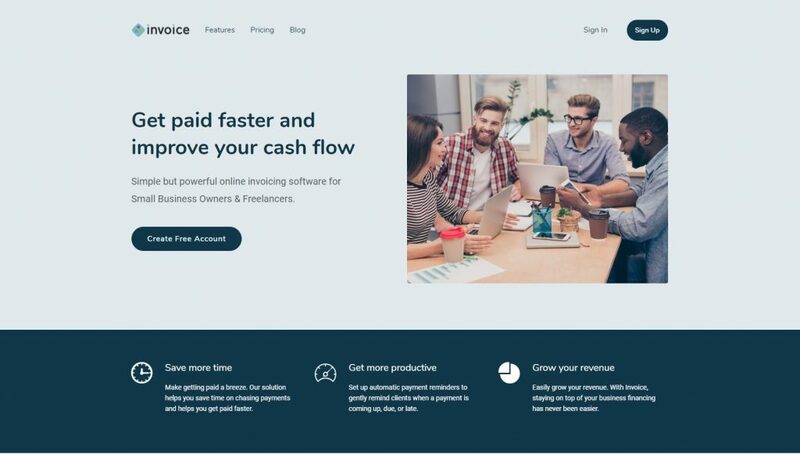 Used by over 100,000 businesses worldwide, invoicely brings with it all the basic functionality expected of billing and invoicing software such as invoice creation, payment schedules, and automatic reminders, workflow automation, managing of business accounts, and client information management, multi-currency support, and data import and export, to name some. 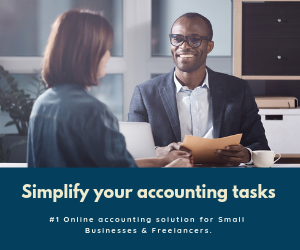 Sage One is business software that is targeted at small businesses with the aim to help them perfect all areas of their financing to aid easy and smooth operations. 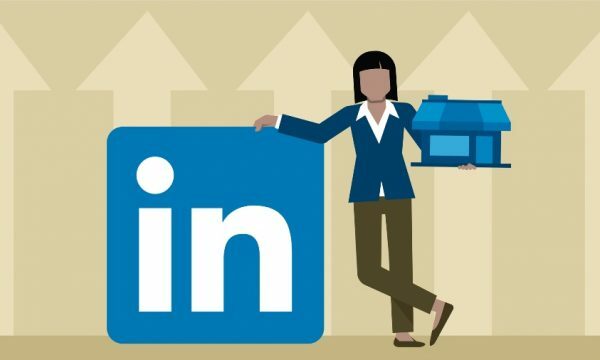 The firm has a strong base in Africa already, but that is just a tip of the iceberg – mainly because they have branches in other continents of the world too. Sage One offers a neat set of templates for cooking up actionable templates so that late payments from clients due to invoice setup becomes a thing of the past for you. QuickBooks Online is a web-based accounting solution that caters to individual accountants and small businesses. The solution helps with bank reconciliation, tracking expenses, drafting invoices and monitoring financial reports, among others. 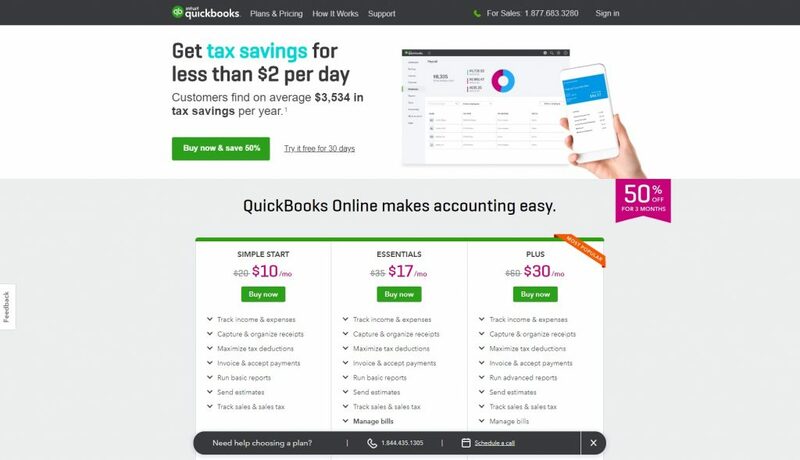 QuickBooks solution offers customizable templates that can be branded with the business logo and desired field to generate invoices, bills, and reports. 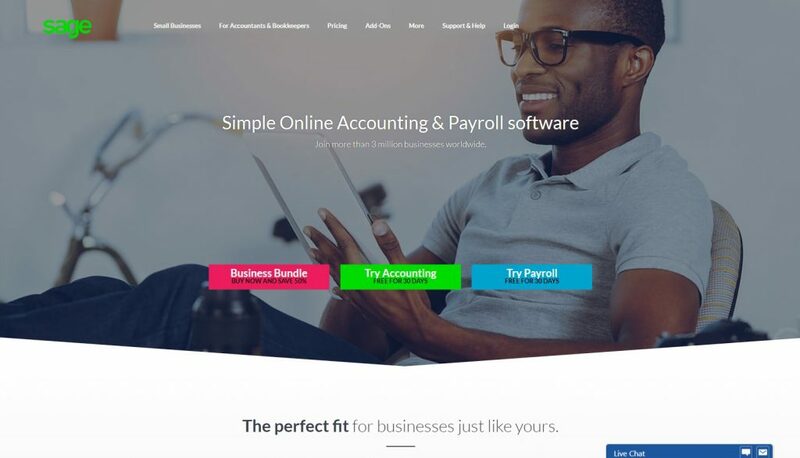 Xero is a robust accounting solution with complex accounting features, ample reports, 700+ integrations, and unlimited users. Xero can be accessed from any device with an active Internet connection. With Xero’s robust accounting features, small businesses can view their cash flows, transactions and account details from any location. With Xero, personal expenses can also be managed with mobile review and approval of each receipt. 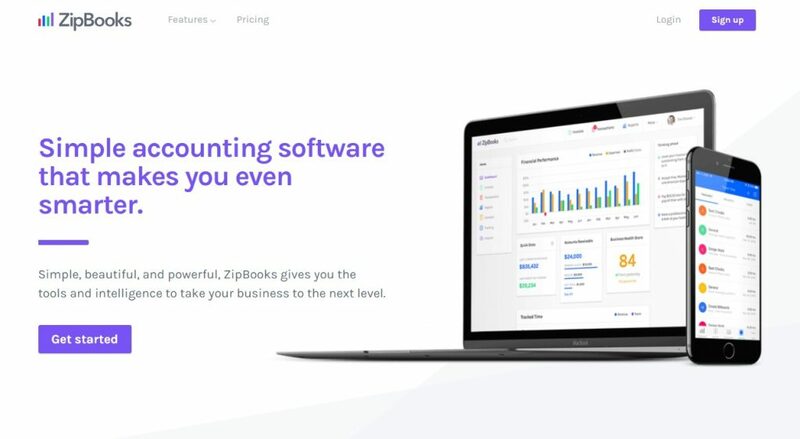 ZipBooks is a cloud-based accounting and payment processing solution designed for small and midsize businesses. It offers financial reporting, core accounting, budgeting, and forecasting. ZipBooks allows users to create customized emails and invoices with logos, themes, and messages. The online accounting functionality of the software includes accounts receivable and bank reconciliation. 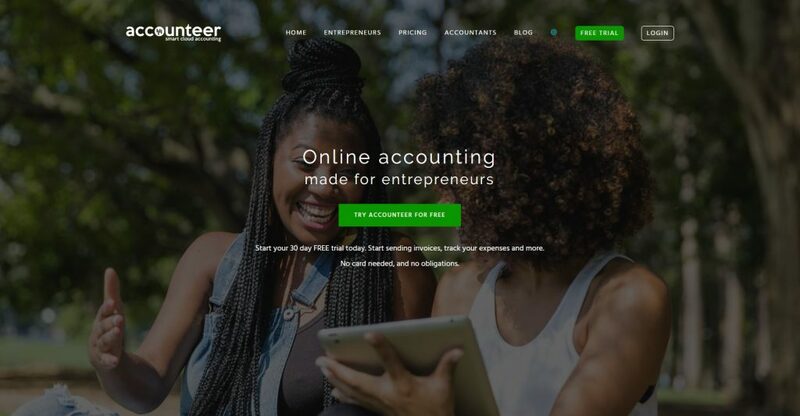 Accounteer is a cloud accounting platform for small businesses. Business owners can create invoices, track expenses and follow up on their finances. The platform integrates with external services like banks, e-invoicing platforms, and e-commerce. 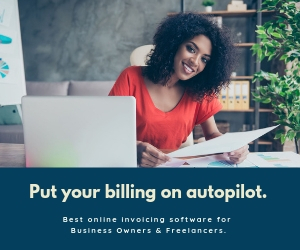 All 10 of the invoice software options on this list will help you streamline your invoicing process and collect payments from your customers quickly and easily. We recommend starting small and upgrading as necessary. 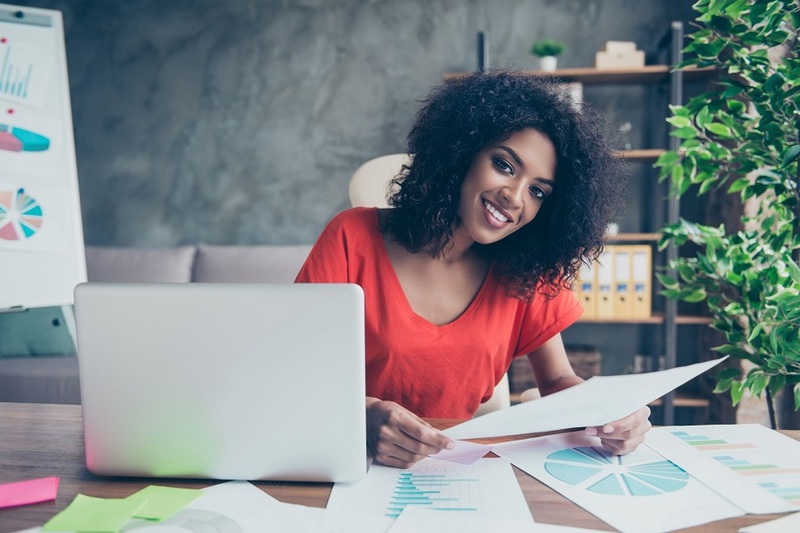 When you’re freelancing or running a small business, invoicing is one of those things that isn’t a whole lot of fun, but is absolutely necessary. With the right invoicing tools, though, and a few good habits, you can turn an unpleasant chore into a smoothly running automated process.